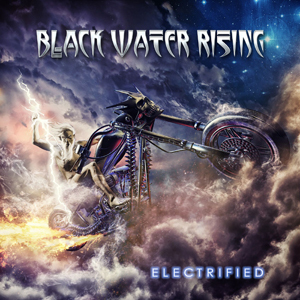 BLACK WATER RISING Premieres New Video For "World of Frustration"
BLACK WATER RISING is a collection of soul-baring, angst-ridden, riff-heavy material proudly anchored in the foundations of traditional hard rock. Their monster guitar riffs, soaring melodic vocals, and big hooks make them the epitome of no frills riff rock. Today BWR has premiered their video for "World of Frustration" taken from their 2017 release Electrified. The band has once again teamed up with director Noah Shulman for this eye opening call to action of a video with an important message. Watch it on KNAC.COM HERE. The band considers the video, "A departure from our usual heavy guitar driven sound. We wanted to do something different and show some musical diversity with an acoustic based song. The video is filmed in stark black & white and covers an array of global issues facing society today including war, poverty, education and climate change. It makes a powerful statement that aims to connect with the viewer on an emotional level." Electrified can be purchased on iTunes and Amazon.